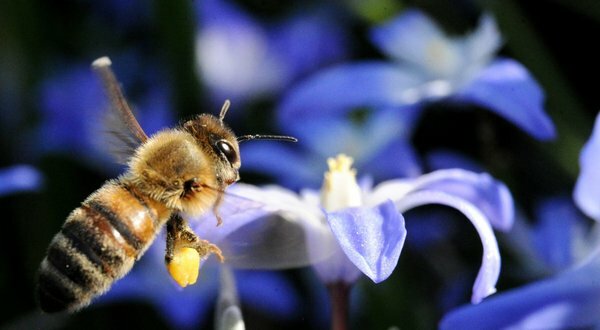 Scientists have been alarmed and puzzled by declines in bee populations in the United States and other parts of the world. They have suspected that pesticides are playing a part, but to date their experiments have yielded conflicting, ambiguous results. In Thursday’s issue of the journal Science, two teams of researchers published studies suggesting that low levels of a common pesticide can have significant effects on bee colonies. One experiment, conducted by French researchers, indicates that the chemicals fog honeybee brains, making it harder for them to find their way home. The other study, by scientists in Britain, suggests that they keep bumblebees from supplying their hives with enough food to produce new queens. The authors of both studies contend that their results raise serious questions about the use of the pesticides, known as neonicotinoids. But pesticides are only one of several likely factors that scientists have linked to declining bee populations. There are simply fewer flowers, for example, thanks to land development. Bees are increasingly succumbing to mites, viruses, fungi and other pathogens. Outside experts were divided about the importance of the two new studies. Some favored the honeybee study over the bumblebee study, while others felt the opposite was true. Environmentalists say that both studies support their view that the insecticides should be banned. And a scientist for Bayer CropScience, the leading maker of neonicotinoids, cast doubt on both studies, for what other scientists said were legitimate reasons. David Fischer, an ecotoxicologist at Bayer CropScience, said the new experiments had design flaws and conflicting results. In the French study, he said, the honeybees got far too much neonicotinoid. “I think they selected an improper dose level,” Dr. Fischer said. Dr. Goulson’s study on bumblebees might warrant a “closer look,” Dr. Fischer said, but he argued that the weight of evidence still points to mites and viruses as the most likely candidates for bee declines. The research does not solve the mystery of the vanishing bees. Although bumblebees have been on the decline in the United States and elsewhere, they have not succumbed to a specific phenomenon known as colony collapse disorder, which affects only honeybees. Yet the research is coming out at a time when opposition to neonicotinoids is gaining momentum. The insecticides, introduced in the early 1990s, have exploded in popularity; virtually all corn grown in the United States is treated with them. Neonicotinoids are taken up by plants and moved to all their tissues — including the nectar on which bees feed. The concentration of neonicotinoids in nectar is not lethal, but some scientists have wondered if it might still affect bees. In the honeybee experiment, researchers at the National Institute for Agricultural Research in France fed the bees a dose of neonicotinoid-laced sugar water and then moved them more than half a mile from their hive. The bees carried miniature radio tags that allowed the scientists to keep track of how many returned to the hive. In familiar territory, the scientists found, the bees exposed to the pesticide were 10 percent less likely than healthy bees to make it home. In unfamiliar places, that figure rose to 31 percent. The French scientists used a computer model to estimate how the hive would be affected by the loss of these bees. Under different conditions, they concluded that the hive’s population might drop by two-thirds or more, depending on how many worker bees were exposed. “I thought it was very well designed,” said May Berenbaum, an entomologist at the University of Illinois at Urbana-Champaign. But James Cresswell, an ecotoxicologist at the University of Exeter in England, was less impressed, because the scientists had to rely on a computer model to determine changes in the hive. “I don’t think the paper is a trump card,” he said. In the British study, Dr. Goulson and his colleagues fed sugar water laced with a neonicotinoid pesticide to 50 bumblebee colonies. The researchers then moved the bee colonies to a farm, alongside 25 colonies that had been fed ordinary sugar water. At the end of each year, all the bumblebees in a hive die except for a few new queens, which will go on to found new hives. Dr. Goulson and his colleagues found that colonies exposed to neonicotinoids produced 85 percent fewer queens. This reduction would translate into 85 percent fewer hives. Jeffery Pettis, a bee expert at the United States Department of Agriculture, called Dr. Goulson’s study “alarming.” He said he suspected that other types of wild bees would be shown to suffer similar effects.